Handyman Electric, LLC offers customized lighting upgrade solutions for residential spaces. Through our dedicated team of residential experts, we can provide efficient and effective solutions for any interior or exterior project. 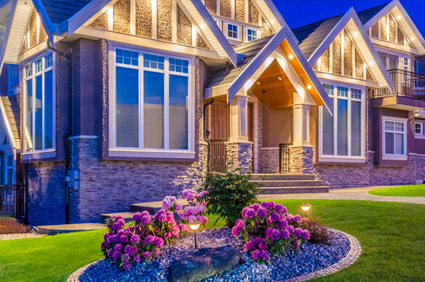 Let us upgrade, design, install, and maintain the residential lighting system for your home. Here at Handyman Electric, LLC, we understand the challenges many homeowners face when they look to upgrade, expand, or remodel residential spaces. Wiring for residential spaces is challenging work and requires electrical expertise that goes beyond residential requirements. Depending on the type of space you have, we can design and install the perfect electrical system for your needs. Often residential spaces have stringent safety codes that must be met to ensure your safety. Our experts will guide you through the design and installation process so you will have the peace of mind knowing your residential space meets all safety regulation requirements and standards. If you need help with your lighting upgrade, give the experts at Handyman Electric, LLC a call today at 509-993-0303.